We are experiencing a significant change in the supermarket sector and, without forgetting that the grocery stores big business is still in large shopping centers or malls, other formats are emerging that are more common in European supermarkets, the so-called “Express”. Already here in the United States we see “express” formats that have been adaptedwith the large national retailers, but are light years away from complying with the optimal parameters of these formats. 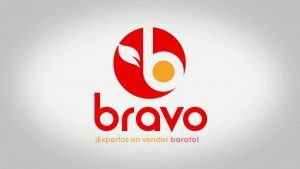 It opens a tremendous and great opportunity for Hispanic supermarket chains to expand and adapt to “express” formats without losing their identity as specialists in Latin and ethnic products in general. In places with high population density, it is much more productive and operational to have several “express” supermarkets and not only a medium-large store, therefore, the main objective is the proximity of the stores so that customers make their daily purchases and not the weekly or biweekly ones. An “express” supermarket is a lot more productive than the other formats because it does not need so much staff and the costs in all respects are lower. On the other hand, these small surfaces that hover between two thousand and four thousand square feet have a sales capacity per square foot higher than the traditional ones, because the assortments that are designed for them are highly efficient. 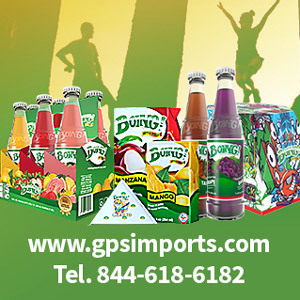 In any case, to adapt a Hispanic supermarket to the “express” format, it must be done prior to a thorough study of the entire socio-economic environment of the chosen location, as well as of each item that the store will have. For an average area of ​​2,500 square feet, we will design a product catalog that will have a maximum of 1,200 items. Of this chosen assortment, 90% will always be the products of high demand and rotation, combining fresh produce with groceries and cleaning products. The Hispanic express will also have to undergo strong marketing campaigns in social networks to attract all its potential clients, giving them the great advantage of the proximity and personal knowledge of the store with their customers. The more “express” the retail chain has, the better will be the performance in all the senses and more options for the growth of the brand. Finally, in medium retail chains, applying an “express” format to your existing traditional supermarkets will be completely productive if around one of our traditional medium-sized stores we place between 3 and 8 “express” supermarkets. The medium supermarket will act as a “nurse” to supply the “express” of all those high turnover products that are prepared in production, such as meat cuts and delicatessen, prepared meals, freshly squeezed juices … taking advantage of the associates and infrastructure of traditional store equipment are many more than in the “express” formats, giving daily support and helping to grow the brand of the chain in dozens of locations. When should we start the Hispanic “express”? We have the tools and the knowledge.